Confused.com has teamed up with Thomas, a trusty car mechanic, to warn you of tricks used by dodgy mechanics to rip off honest drivers. 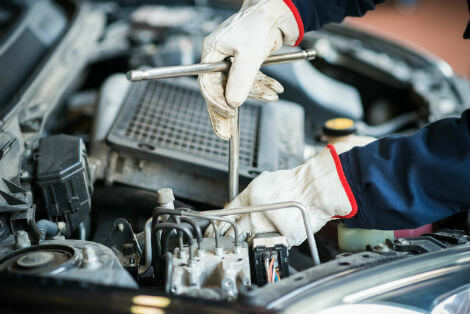 Over eight out of 10 (85%) drivers don’t trust mechanics, and one in eight believe that they've been pressured into buying parts or having repairs they don’t need. We spoke to Thomas, a trusted mechanic, who gave us some top tips to avoid being ripped off. If you know nothing about cars, it can be difficult to understand the barrage of terms used by mechanics. Some have even used this to bamboozle drivers into saying yes to unnecessary repairs. Don’t be afraid to ask questions. If they’re not happy to explain the repairs, take your car elsewhere. 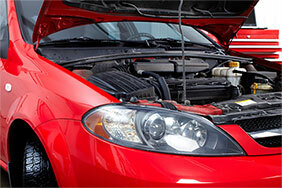 Get the repairs in writing too, that way you can get a second opinion or compare garages for repair costs. If the mechanic is using words or terms you don’t understand then ask them to explain in plain English. Never trust a mechanic that isn’t happy to explain your repair to you so you understand. You’ve taken your car in for a repair and it’s come back with several more things that suddenly need fixing. It’s fair for a mechanic to alert you of any possible work that needs doing on the car. 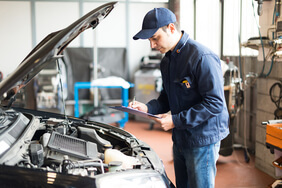 Although these extra repairs may help your car to run better, it’s worth asking if they’re urgent. If the car is still roadworthy without them, you can shop around and look for the best deal on repairs. We hear this one all the time, the car goes in for one repair and ends up needing three. 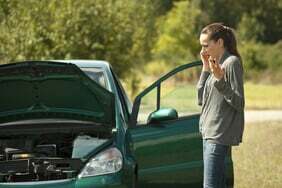 Always ask the mechanic if your car is still roadworthy without the extra repairs. A dodgy mechanic might charge for used parts as new or not even change them at all. Ask questions again. Look at the part before it’s installed and the old part after they’ve replaced it. Then get an itemised bill so you can cross check what you’re paying for. You can also ask the mechanic whether the parts are Original Equipment (OE) quality, or aftermarket. OE parts are made by the car manufacturer and so tend to be more expensive. If you’re paying for new parts then that is what you should be getting. You can always ask to see the part before they’re installed and you can even ask to see the old worn part, which most garages will keep. Often when you get a flat tyre, it does need to be replaced. 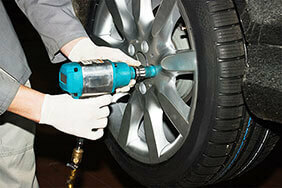 But if the tyre is in good condition and the puncture is just in the tyre’s tread it can sometimes be repaired. If you’re being told you need a new tyre, ask to see the location of the puncture and assess the damage. If it does need to be replaced, a quick internet search will bring up a guide price that you can use to haggle. It's true that sometimes the tyre is damaged but as long as the tread is in good shape, most flat tyres can actually be repaired, especially if the puncture is in the tyre tread and not on the outside wall. Your car is running perfectly. You take it in for an MOT and it comes away with a long list of repairs. Some of these will be essential for the car to legally pass the MOT. But not all of them may be essential, despite what your mechanic might claim. Ask to see your fail report. Remember, the MOT is split into two categories, advisories and failures. Your vehicle is still deemed roadworthy if you don’t repair the advisories. These should be seen too eventually, but if they aren’t urgent, they may be able to wait until your next pay day. Some MOT failures can be as simple as changing a bulb on a headlamp. If you can’t change it yourself, then it could be cheaper to shop around and get them changed elsewhere. The MOT doesn’t cover the condition of the engine, clutch or gears, so there shouldn’t be anything about them in the fail report. It's also worth remembering that the MOT laws are changing this year, replacing fault and advisory with minor, major and dangerous defects. While some of these repairs will be necessary to legally pass the test, your car could still be roadworthy without the others and you shouldn’t feel pressured. Most mechanics are passionate about cars and customer service. We will show you the same respect that you show us. Don’t assume a mechanic is out to rip you off - not all car mechanics are crooks, the majority of us have your best interests and your safety at heart. "It pays to evaluate the appearance of the garage before you engage them. If their workshop is clean and tidy then it's a safe bet that they probably extend this mindset to the rest of their business. "Also, the best way to build a relationship with a mechanic is to try a small job first before jumping in with something like a gearbox change. "Start with something small like a service or MOT and see how they perform. If you're happy with the results then this can serve as a good indicator of the quality of their workmanship." Find the right people to MOT, service or repair your car. When should you change your cambelt? 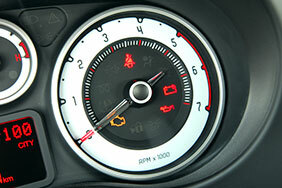 Find out what each dashboard warning light means and why you shouldn't ignore them. Most new cars don't come with a spare tyre, so how do you cope if you have a blow out? Enjoy a long-lasting relationship with your motor. A flat battery can quickly bring a commute, holiday or road trip to a halt. Learn how to deal with one here. We round-up our top tips to passing your MOT test first time. 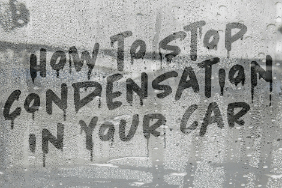 What causes condensation in cars and what you can do to stop it. Could where you live affect whether your car passes its MOT? Using research from Protyre, we looked into which regions have the highest MOT fail rates.